Add glamorous shimmer and sparkle to your look with this stunning necklace from Mikey. 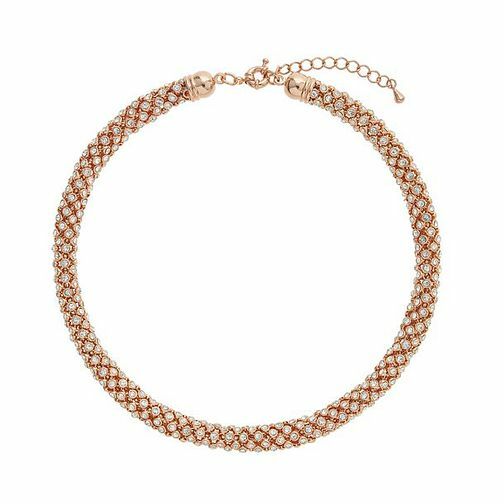 Crafted in a warm rose gold tone for a contemporary and feminine look, this necklace features a textured popcorn style design set with a scatter of glittering crystals for a dazzling look. Mikey specialises in wearable glamour for all occasions. Mikey Rose Gold Tone Scatter Crystal Popcorn Necklace is rated 5.0 out of 5 by 1.